This legislation would affect Uber, Lyft, Juno and Via — all of which operate ride-hailing services in the city. The deadline to submit an amended version of the proposal is tonight at midnight, so the clock is ticking. Anyway, some people seem to be a bit upset about receiving calls from Uber, but Uber Director of Public Affairs Jason Post told TechCrunch the calls are simply one of its tactics that is consistent with its terms of services. Uber is not calling every single customer in the city, Post said, but the company is making enough calls to yield a few dozen calls per council member. Though, why people are answering calls from unknown numbers is beyond me. Uber is also employing an in-app takeover that notifies passengers of the legislative landscape in NYC. 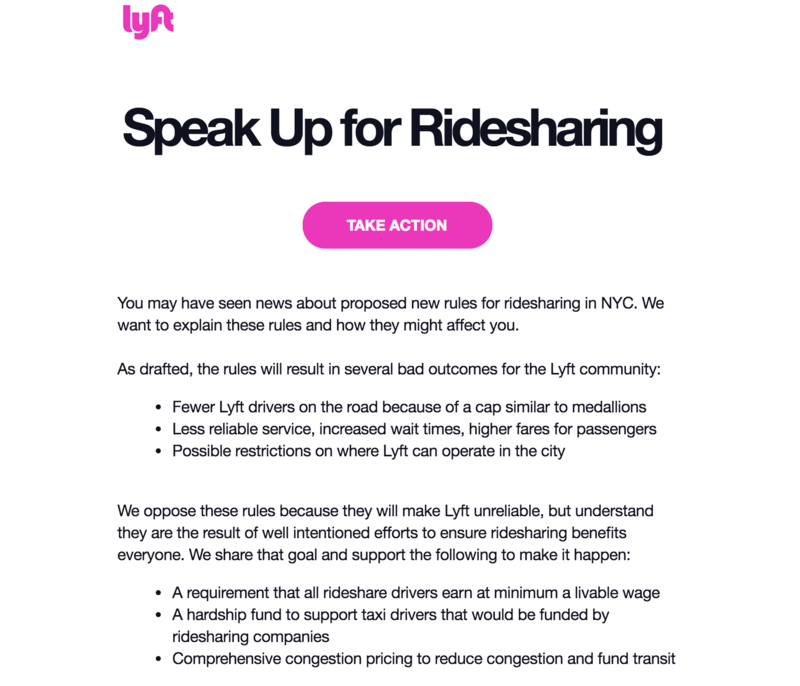 Lyft says the proposals would affect wait times, driver earnings and job opportunities. Lyft’s VP of public policy, Joseph Okpaku, also noted in a Medium post that the cap would have even worse effects on communities of color.